Salty chang, originally uploaded by Camemberu. Been hankering for some good bak chang (of the salty variety), so I grabbed a few from Kim Choo when I was in the Joo Chiat vicinity. At S$2.50 each, they were not cheap but each one was fairly sizeable and of good quality. 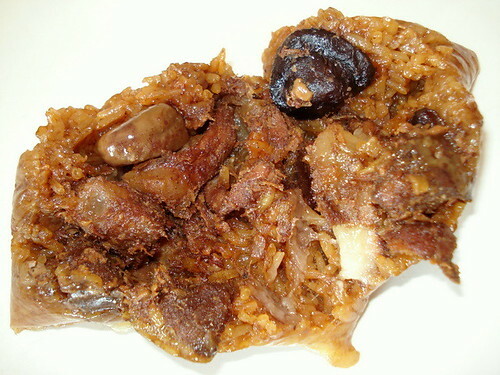 Bak Chang dissected, originally uploaded by Camemberu. 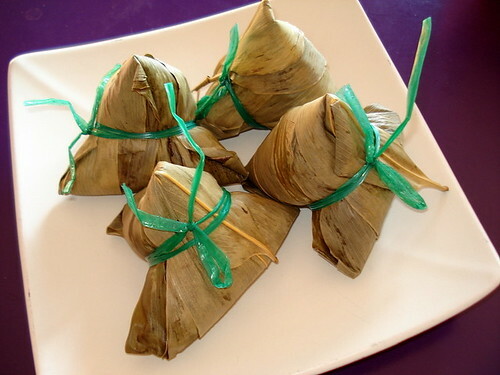 The smooth glutinous rice is steamed just right (not too soggy nor undercooked), and seasoned well. I could eat the rice on its own. 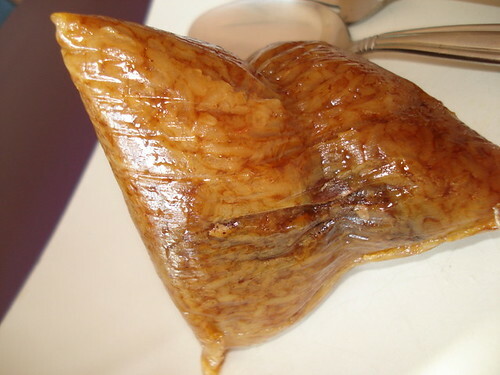 Ingredients in the dumpling include chunks of lean meat (a little too heavily spiced, in my humble opinion), a sliver of pork fat, a couple of mushrooms and a chestnut. Salty Dumplings, originally uploaded by Camemberu. I love bak chang but unfortunately they almost always leave a very full, satiated feeling. They wreck havoc on your blood sugar for hours! Almost uncomfortable. But a good bak chang is hard to resist! And I like to eat them cold out of the fridge! A more solid bite than if steamed (too sticky). I have to go try Ho Kee's someday. Onde Onde, originally uploaded by Camemberu. 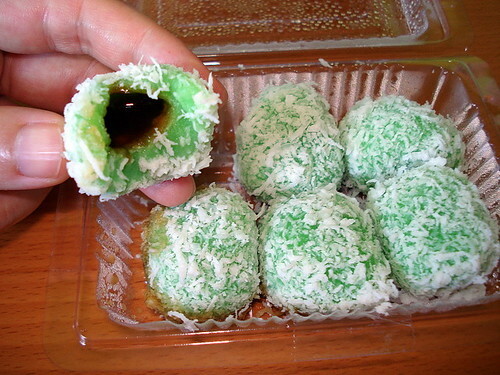 I also sprung for their onde onde just out of curiosity. Unfortunately they were quite ordinary and did not justify the S$2 price for the box of six tiny bite-size desserts.